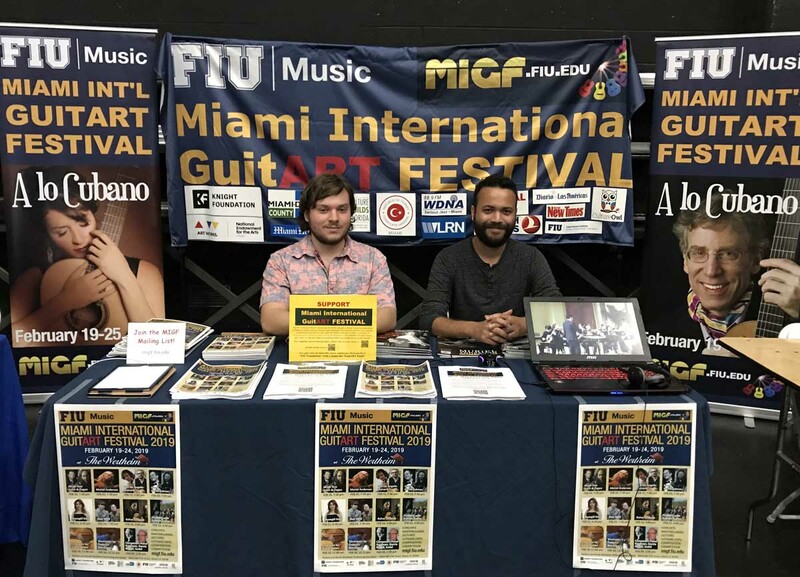 The Miami International GuitART Festival showcased the 2019 festival at the ArtsLaunch2018 in the Ziff Ballet Opera House of our partner Adrienne Arsht Center for the Performing Arts of Miami Dade County on September 8, 2018. Festival assistants Eloy Rios, Steven Garcia, Gabriel Marinuchi, and Lizandro Herrera-Blitman introduced the 2019 MIGF program to Miami audiences in the MIGF booth during the all-day event. More than 2,000 South Florida residents visited the Arsht Center to learn about the season offerings of 50 cultural and community organizations last Saturday. The MIGF booth attracted many visitors and gained new followers during the event. 15% Early Bird Special Discount offer for the MIGF 2019 Festival Pass continues until October 20, 2018.